I think I've gone off the deep end, and now I just want to make Shrinky Dinks all the time. I hope you are pleased, Katie. The next pack of Shrinky Dinks I hope to acquire will be opaque. 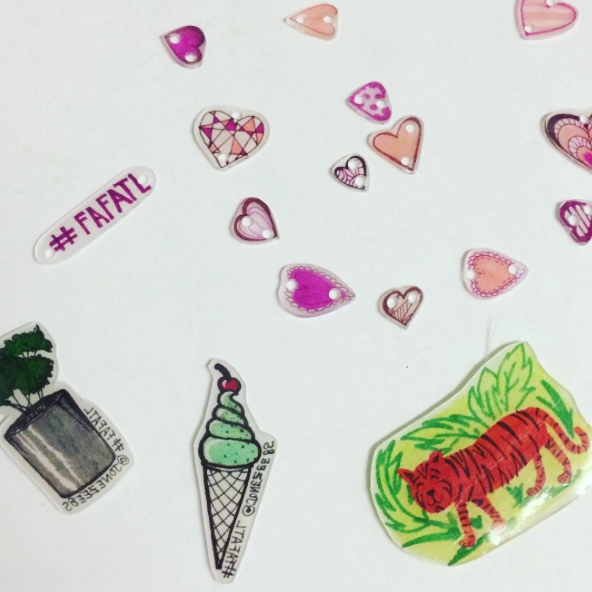 Keep your eyes peeled later this week to see what I make for #FAFATL out of Shrinky Dinks!